Healthy eating during pregnancy is important. Good nutrition is needed to meet the added demands on your body and of your growing baby. 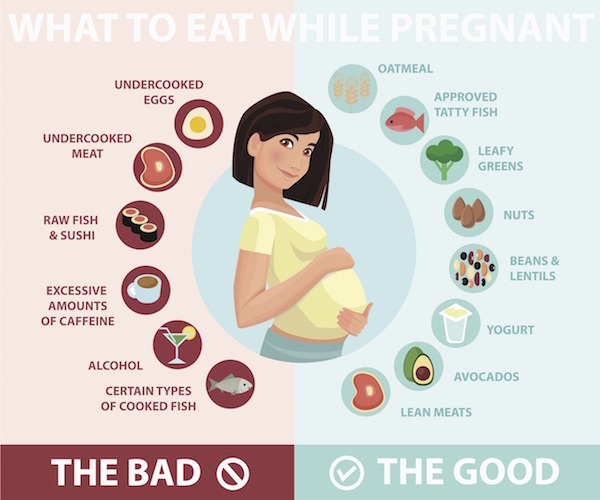 Although it may take a little to get used to, planning and eating healthy meals and snacks during pregnancy will have major benefits for you and your baby. 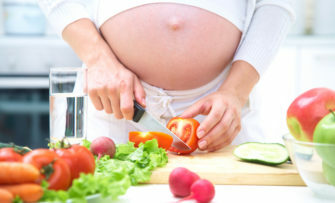 If you have not been eating a healthy diet, pregnancy is a great time to change old habits and start healthy new ones. While you are pregnant, eating healthy foods provide the proper nutrients to fuel your body’s activities and help your baby grow. Vitamins and minerals play important roles in all of your body functions as well. During pregnancy, you need more folic acid and iron than a woman who is not pregnant. Taking a prenatal vitamin supplement can ensure that you are meeting your required intake. Remember that a well balanced diet should supply all of the other vitamins and minerals you need during pregnancy. At OCWMG, we have registered dietitians available to help you navigate healthy eating. We offer personalized care to new moms that address their individualized concerns. The dietitian will review the foods that you eat; show you the importance of reading the food labels; review food safety; review vitamins and minerals; recommend exercise and create an individualized meal plan based on your food preferences that will help maintain an appropriate weight gain and minimize pregnancy discomforts such as nausea, constipation, heartburn and swelling. We also encourage our patients to visit www.choosemyplate.gov. This is a great resource for making wise food choices not just for yourself but your family too. Try clicking on “SuperTracker”. This program shows you the foods and amounts that you need to eat each day during each trimester of pregnancy. Eating well during pregnancy is one of the best things you can do for yourself and your baby. Start now on balancing healthy eating with maintaining a healthy weight to give your baby the best start in life. Make an appointment today to speak with our Registered Dietitian.